Egyptians from the reggae/hip hop group Salalem, meaning stairs in Arabic, perform in front of a crowd of hundreds, mostly youth in Cairo, Egypt on Feb. 19, 2011. 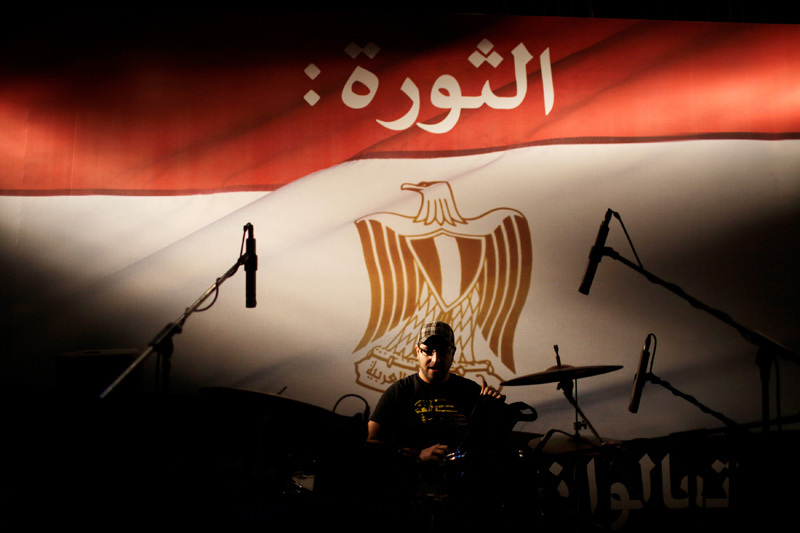 Some songs performed were specific to the revolution, including a cover of a popular song "Sout Al Horeya", which translates to "the sound of freedom is calling", which has been making the rounds on YouTube. Since President Hosni Mubarak stepped down from power, a "Post-Revolution Pop Cutlure" has started to take shape, which many see as a renaissance for art in the country.